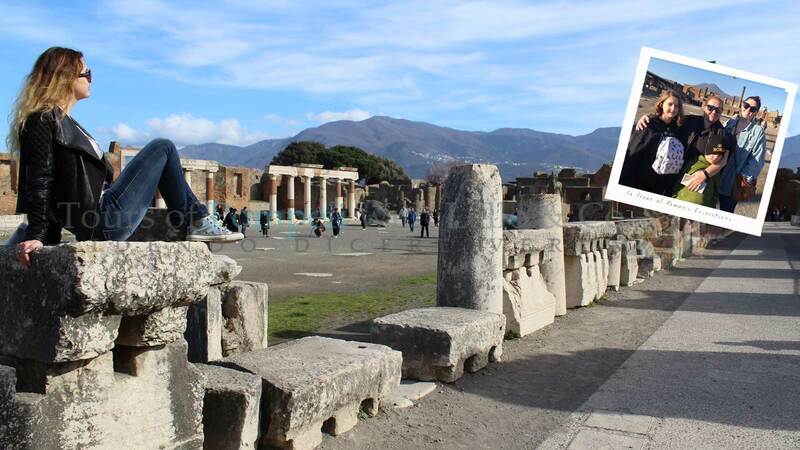 The best local tour guides in Pompeii will take you through a fascinating journey back to the Roman Empire when Pompeii and the Volcano Vesuvius area were the most beautiful resort in Italy. 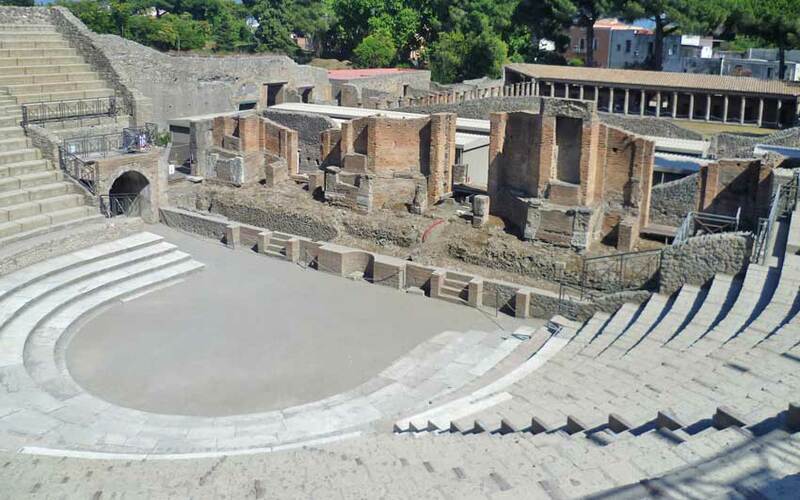 This 2.5 hours tour includes the highlights of Pompeii: the theatre, the thermal baths, the rich domus, the Gladiators’ Gym, the fountains, the Forum, the mills, and much more. You will not stand in lines and you can ask the guide anytime to show you something more to customize your tour on your needs and wishes! In 79 AD this historic city fell victim to an eruption of Mt. Vesuvius, and the thriving metropolis was no more. To visit to these world-renowned ruins is to experience life as it once was, on the shores of the Bay of Naples, in the early Empire. First, we will visit the Theatre to imagine comedies and tragedies that played out upon the stage. Next, it’s on to the ornate Thermal Baths, with their dressing rooms, baths, toilets and athletic fields. These early health clubs were truly ahead of their time. 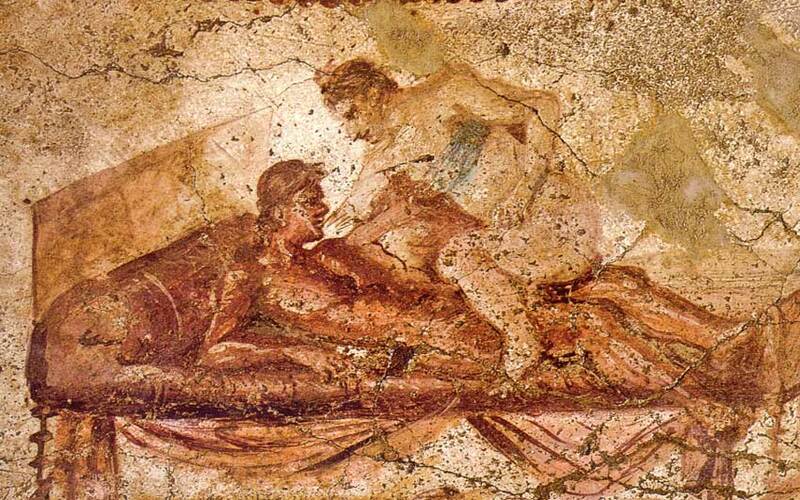 The streets of Pompeii were alive with purveyors of food, clothing and - slaves. We’ll visit wine cellars, restaurants and bars. We’ll compare prices and learn of rare vintage recipes as we imagine life in this bustling metropolis of old. We’ll admire the ancient barracks, domain of gladiators, and the infamous red light district . . .
No trip to Pompeii would be complete without a stop in the Forum. The awe-inspiring domain of priests and temples, politicians and public buildings, this is where art, philosophy, theology and economics of Pompeian culture meld. Getting to Pompeii is easy. Located several kilometers south of Naples and 240 km south of Rome, it can be reached by train (Pompeii Scavi Station). Our professional partners are available with a private vehicle to meet you at your hotel, port or the airport for a more comfortable transfer. Our tour is unique. There is no waiting in line for entrance to the historic ruins of Pompeii and you will have a private guide. We offer discounts for large parties and children. We’ll have fun in rain or shine. Pack a hat for summer sun, and wear comfortable shoes. You will actually walk on lava rock! All ages and fitness levels are welcome. Meeting place to be determined upon booking. We can’t wait to experience Pompeii with you! Contact us for reservations at info@toursofpompeii.com. From 2.5 hours to 3 hours. Prices depend on the amount of people in your group and on the period. Advance bookings will get better prices. We offer discounts to large parties and kids. Contact us for more info. The tour takes places rain or shine. Comfortable shoes and a hat are recommended. You will not be standing in the entrance line and you will have a great guide only for you! The great theatre could contain 5000 spectators and was originally built in the II century b.C. The shows were mostly tragedies, comedies, mimes and panomimes. Behind the theatre stage there was a large square surrounded by a portico where spectators would gather after or before the spectacles. 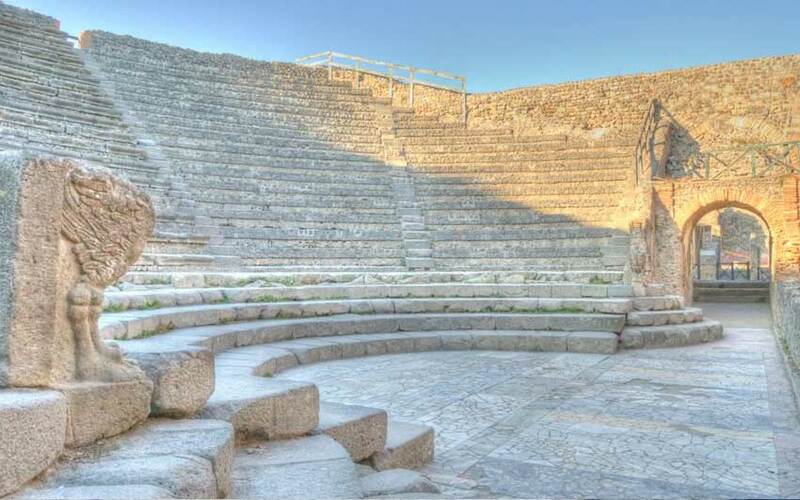 The small theatre is also called Odeion and was built in the I century b.C. The Odeion was for concerts, poetry contexts and othe musical shows. It couls contain approximately 1300 people and its colorful marbles are still very well preserved. 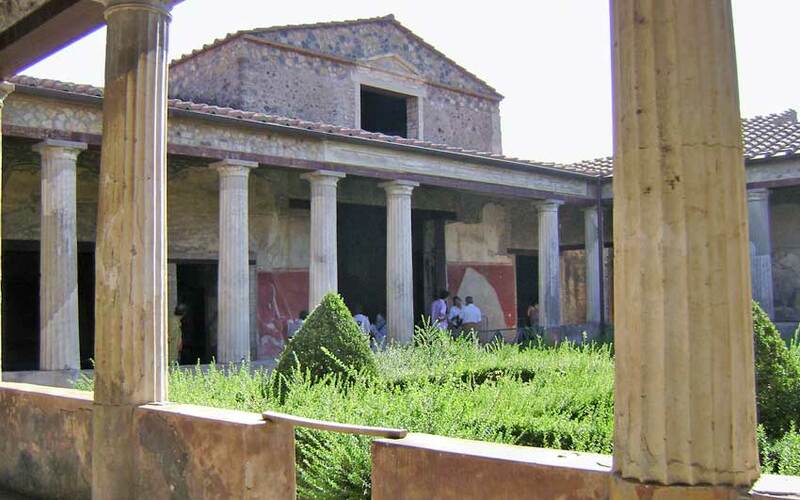 The House of Menander is a big wealthy villa wthat was almost as big as a whole city block. It was built in the late I century b.C. The domus (villa) is damous for its well-preserved frescoes and mosaics especilaly the one of the ancient Greek Dramatic Poet Menander. It contains 10 rooms, a balcony, and a restroom. The images on the walls were a catalogue of the services offered or merely intended to increase the pleasure of the guests. The Archaeological Site is located in Via Villa dei Misteri, 2, Pompeii. For details about our meeting point contact us by email or use the form. Guest reviews are written by our customers after their tours with our guides. Our tour guide Lello was just outstanding, he was excellent with my children and extremely knowledgeable. Louise organised our pick up and Angelo was punctual and very friendly. Thank you for a memorable tour. 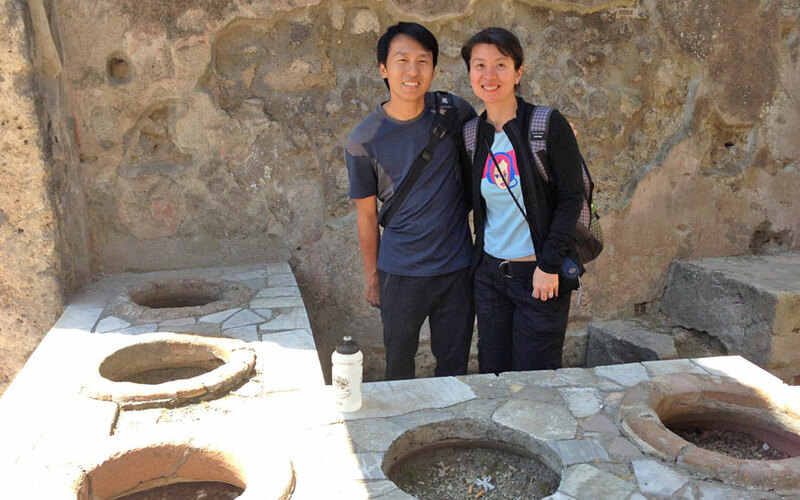 I wanted to visit Pompeii ever since I was a child and we were very lucky to come across Tours of Pompeii. Our guide Filomena was very nice, friendly and very knowledgeable. We were slightly late for the tour but she met us with a smile on her face and was very helpful with the tickets. I would strongly recommend hiring a guide to visit Pompeii otherwise touring it on your own can be quite confusing since there is very little signage. I just wish our overall impression of Italy was as positive as our trip to Pompeii and Mena was the nicest and friendliest person we had met in Italy. The staff at PTOP was very professional and reliable. Overall, it was a great experience and I wish we also had toured Herculaneum and surrounding area with Mena. Thank you Tours of Pompeii and keep up the good work. Our family of four, took the guided tour with Margherita on August 1rst. While the site of Pompeii is impressive on its own, we all felt that having a Margherita guide us through the site added immeasurably to the experience. 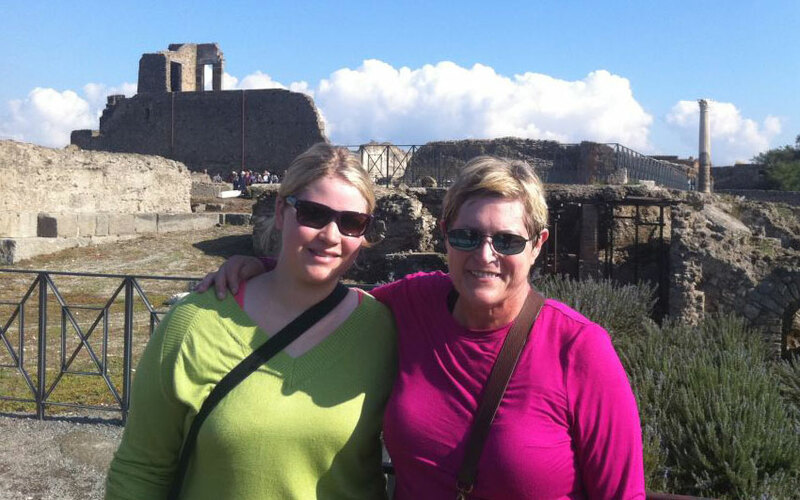 She is extremely knowledgeable about the history and culture of ancient Rome and the Pompeii catastrophe and conveyed information about the ruins and life of Pompeii in a way that was stimulating and accessible for both us and our teenage boys. Margherita responded thoughtfully to our questions and did a great job of pacing the tour. Simply a great way to see the site. Made us wish we had someone like Margherita along with us at other ruins we visited in Italy. Highly recommended. I highly recommend anyone visiting pompeii to take a private tour with Lello...so please do not waste your time in looking any further. From the moment I made my first enquiry by email asking questions ...dates, times, cost involved etc I can honestly say how delighted I was with the excellent communication I received. 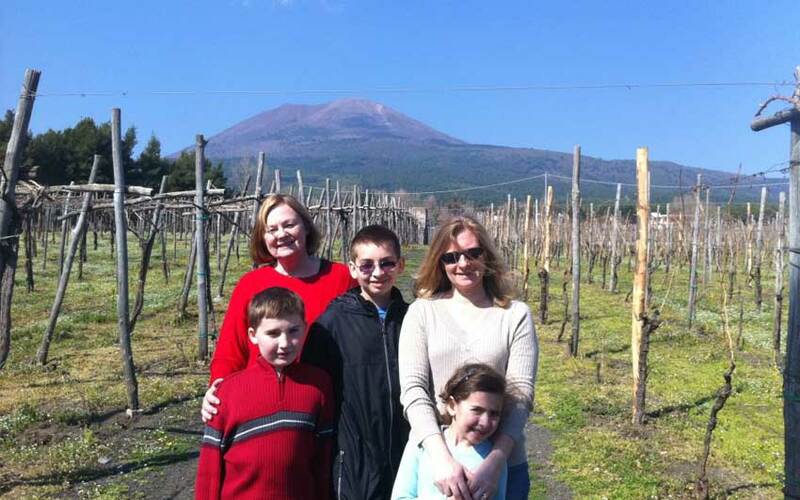 I took my two sons to Italy and having visited Pompeii myself before wished my sons to have the experience of this truly wonderful amazing place. We were met off the train by Lello our guide for the tour and he was just amazing! You could not wish for a better guide to show you around the site. He was kind, polite, extremely helpful and caring of our needs and took us around the site following our pace.... his tour was "fantastico" ...his knowledge was second to none! My boys loved the tour ..we could not fault a thing from start to finish...thank you so much for a truly amazing experience and making our day in pompeii such a memorable one. So for all of you out there who are searching for a guided tour...look no further. Pompeii was one of the stops on our week long European trip with our teenage kids. Though we visited many sites and took quite a few tours from several different tour companies, this one was by far the best. Lello was the reason. He was very knowledgeable, entertaining, tailored the tour to our kids, and made this tour the highlight of our trip. Planning the tour was very easy. We booked via email and took a train from Rome. Louise coordinated everything, was very responsive and helpful. Great overall experience! Check more reviews on Trip Advisor. If you want to prolong your experience with us check the other activities we offer that can be attached to the standard itinerary. We run them...and we guarantee their quality! The farm is located in a magnificent area overlooking the bay of Naples. Away from the tourist traps the farm owner serves you authentic local products. 2.5 hours guided tour of Pompeii. You will visit the Forum, the theatre, the baths and the highlights of Pompeii. Call our customer services team on the number below to speak to Lello or one of his staff who will help you with all of your holiday needs. We offer high-quality private tours at reasonable prices. We make your money worth! Our guides and tours were rated excellent by more than 500 previous guests.